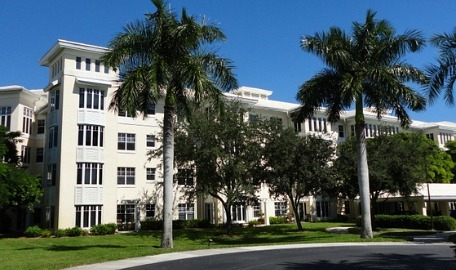 Cypress Cove in Ft Myers, has senior living at it's best, they have everything you need to live your retirement in paradise! 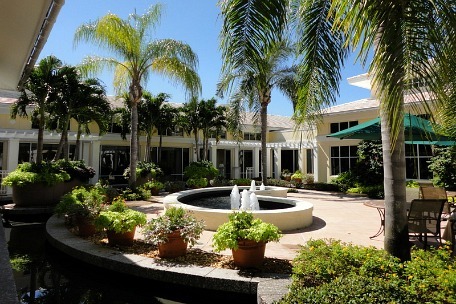 If you're looking for where to retire in Florida, you may want to consider this Continuing Care Retirement Community (CCRC), which starts out with independent living in either an apartment or villa. Then, when needed, you or your spouse can move into assisted living or skilled nursing right on the premises so you can get the care you need yet still see each other daily. For routine health care, you can make appointments with visiting doctors at the community medical office. Not only that, you're main meals are taken care of at one of 2 dining rooms, as well as housekeeping and of course, outdoor home maintenance and landscaping. 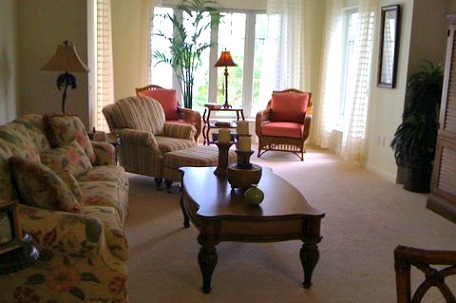 The community is conveniently located all in one complex, except for the villas. 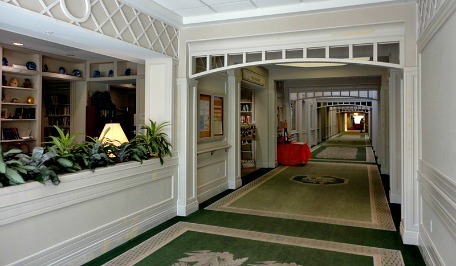 All apartments, restaurants, health care, and activities are connected by hallways so that everything can be accessed from inside. But you'll definitely want to go outside and take a walk around the lakes, and you can go kayaking, race model boats, or garden over by their "Yacht Club". Or, have a seat, listen to the fountains, and catch some sun in their lovely courtyard. The landscaping is beautiful and the apartments are in 4 different wings in 4-story low rises that are surrounded by lakes. 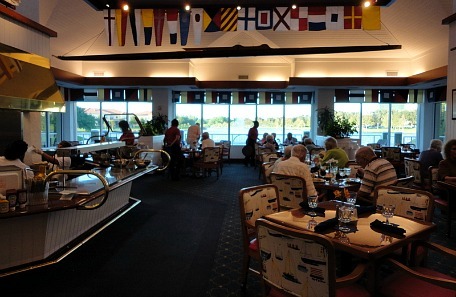 Both restaurants, the casual Captain's Cove and the formal Dolphin Room, boast waterfront dining and the best food for a CCRC in the United States! 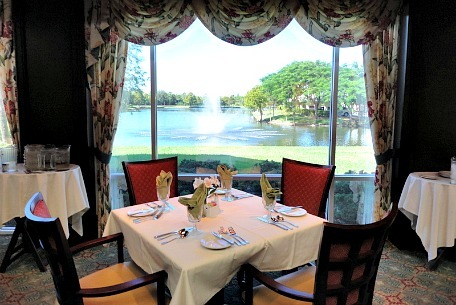 You get one meal per day with your living plan, either lunch or dinner, or breakfast on Thursdays and Fridays, and the one meal of the day on Sunday for brunch in the Dolphin Room. Check the daily specials to see which dining room you want to eat dinner in, their regular menu gets switched up weekly, and then again every 5 weeks. Dinners come with a salad bar, choice of 2 soups, fresh fruit, and several dessert selections. If you miss a meal, you can get breakfast, or choose from one of 3 upgrade meals such as Shrimp Scampi, Lamb Chops, or Filet Mignon. Dine with new friends and neighbors or you can also arrange to have dinner brought up to your apartment if you prefer. And, the best thing is that you don't have to cook or clean up. After hearing about the food, are you ready to move in yet?! Apartments are bright and airy, with lovely views, and lots of sunshine! You'll find 1,2 or 3 bedroom living spaces with 1-2 bathrooms and laundry facilities. Included with your apartment is weekly housekeeping and laundering of your linens. 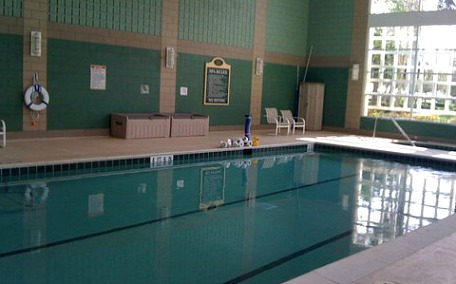 You also have a beauty parlor, medical offices for doctor visits, a workout room, and pool. 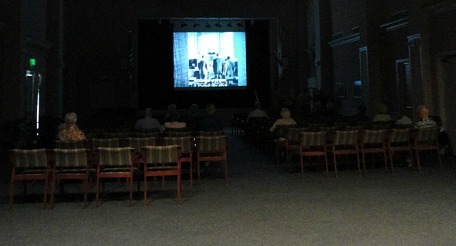 Activities and clubs meet for fun and the community also has a library, art studio, woodworking shop, card-playing room, billiards, mini-market, and Edison Hall ........... where you can listen to guest lecturers, have a party, play bocce ball or watch movies! Cypress Cove offers all of this with affordable and flexible plans. You can either buy in for less and receive nothing back to your estate, or buy in for more and receive a portion of the cost back to your estate. Included in your plan will be several choices for being able to access skilled nursing care at Cypress Cove's The Lodge, either right away, or save money by choosing a plan where you might have to wait a bit. If you need hospital care, no problem, Health Park Hospital is next door. 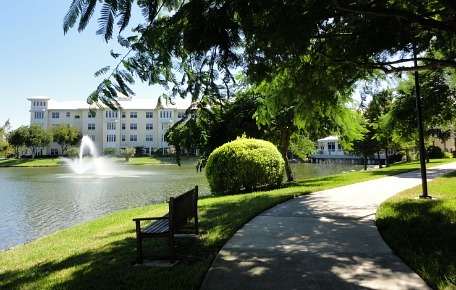 If you need assisted living or rehab after surgery, at the hospital, you would recover on property at The Inn. 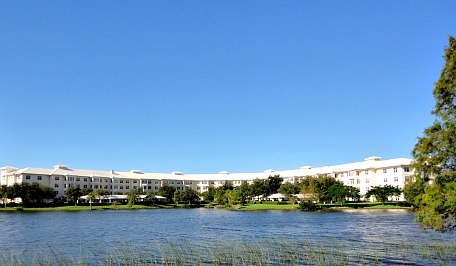 My parents moved to Cypress Cove recently, and are enjoying the relaxed lifestyle that comes with living in one of the nicest of the Florida retirement communities.